We aspire to excellence in everything we do! 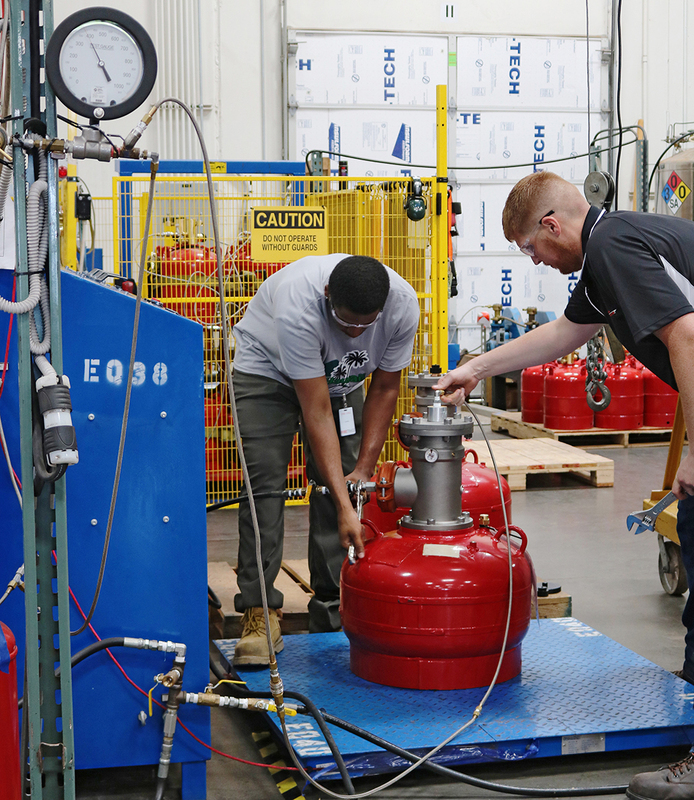 For nearly 20 years we have been a leader in the fire suppression industry, manufacturing life-saving products that mitigate irreparable damage. We are proud that the service we provide has long-lasting importance, giving you the opportunity to directly impact lives in a rewarding way. To be successful at Firetrace International you must thrive in a collaborative work environment. We want our team to be innovative and always looking for a better way. Challenging each other brings out the best in ourselves. Monthly all-hands meetings are led by the management team, giving you a chance to have your voice heard. Even more, our open-door policy goes all the way up to the company president! Production Supervisor: This individual will develop, own, and execute the production schedule and lead a team with excellent safety, quality, cost, on-time delivery, and inventory performance. Read the full job description and apply. Quality Control Inspector: This individual will ensure incoming raw material and finished products comply with the required technical specifications. He/she will verify only acceptable products move to the next operation and\or are ready for shipment. Read the full job description and apply. Why work at Firetrace International? We are pleased to offer a comprehensive benefits package that includes company paid premiums for medical, dental, and vision short/long term disability and life insurance for the employee. Our work-life balance initiatives include 3/12 and 4/10 shifts. Additionally, we offer paid time off and 401k plan with a company match. We believe in developing our team and give everyone an opportunity to learn new skills to diversify their abilities and ascend into leadership positions. If you want to grow, this is the place to be. With Firetrace being a safety company, we make it a priority maintain a very clean and safe work environment. Our production facility is cooled in the summer and we even supply healthy snacks!